Set Up: Set up to meet or exceed MENC specifications and standards. For those of you who’ve previously worked with a Gliga, you’ll no doubt be in love with the rich, warm tone and ease of playing that the brand is renowned for. 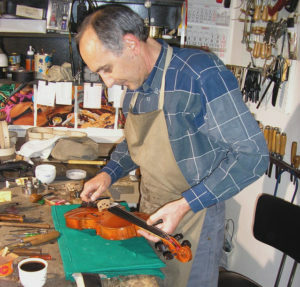 Although many students want something more unique for their ‘forever’ violin, the price tag that comes with these one-off instruments is often something that parents, or even students themselves cannot afford. I purchased a full-size Gliga Gama Outfit (4/4 size) for Reese, my second eldest daughter around a year ago and we’ve certainly enjoyed using it. Many of my older students also use this brand of violin; we find the quality of sound to be excellent and more than adequate for grades 4 – 7 material. Many students have also gone on to keep their Gliga Gama for grade 8 and beyond. As soon as possible! If you’re serious about your playing, you don’t want to be working with an instrument that doesn’t work with you! Many of my students start their violin journeys with a Gliga I or II, so by the time they get to grade 5 or 6 standard, a Gliga Gama is the natural progression. By this stage, they are needing an instrument which will enable them to play with strength and flair in a range of positions as well as something that will project a strong sound. Gliga is the name given to the Romanian brand started in 1991 by Vasile Gliga. Fast forward 20 years and the Gliga brand is well known amongst teachers and students alike for it’s warm sounding violins, beautiful craftsmanship and affordability. The Gliga Gama is handcrafted in workshops which are directly supervised by Vasile Gliga; they are made from naturally aged sycamore maple and close grained carpatian. Like all Gligas, you’ll notice that extra care and attention has been given to the scroll and that its features are deeply etched and beautifully highlighted. My relationship with the Gliga brand began back in 2006 when I bought my eldest daughter’s first violin. I was not in the market for a small violin at the time but was pursuaded to try some new brands that my local luthier was thinking of bringing into stock. I had worked with a range of beginner instruments in the past but was taken aback by the wonderful sound quality of the Gliga and the ease at which it could be played beautifully. I left that day with not one, but five Gliga instruments in differing sizes that I use to this day with my little students. Although it’s not as affordable as some of the beginner violins I’ve reviewed, this is not a beginner instrument and the quality you get for the price you pay is excellent. For many of my students using this instrument, it is their parents who have made the purchase. Often, buying an expensive full sized violin is not high on the list of parental priorities; especially if your child started learning at school on a free to loan instrument! One minute, they’re playing Busy Busy Stop Stop for a bit of fun, the next you’re being asked to fork out thousands of dollars on a violin you know nothing about! Unless you’re in a position to spend big on your new instrument, a Gliga Gama 4/4 is a good choice; it won’t set you back an insane amount of money and will give you the quality of sound you need to continue progressing at higher levels. 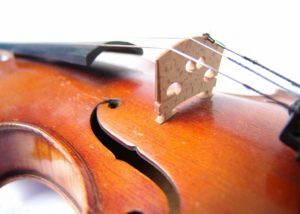 Because it is potentially the last violin that you’ll ever need to buy, you want to make sure that your full size instrument is one that is capable of supporting you as you work through to the highest levels. My eldest daughter just had her bridge replaced for the second time in as many years and I just got my bow rehaired. Two of my students needed their fine tuners replaced and one had a ‘whistling’ E string so had it looked at by our luthier. These things are normal and part of maintaining your instrument to it’s highest standard. That being said, you want a brand new violin to be fitted with quality parts that won’t deteriorate easily or quickly. I often complain about the tail piece and fine tuners on cheaper violins because of their poor screw thread. After a very short time, you can’t use the fine tuners easily, if at all. I haven’t had this problem with any of the Gligas I’ve worked with so you shouldn’t worry about this when purchasing a Gliga Gama; you’ll find that the parts are all of a high standard. The Gliga Gama I’ve reviewed here comes with absolutely EVERYTHING you need to play right away. This is not the case with most advanced instruments; it is common to have to buy a case and bow separately, thus adding to the overall cost. It’s also very disappointing when your brand new violin arrives but you can’t play it straight away! There’s no use having a beautiful instrument that you can’t play properly because you’re using a cheap and nasty bow. You also don’t want to leave your violin lying around; it needs a good quality case so that it is protected from knocks and dints and from changes in the weather. Included in the Gliga Gama outfit is a case, brazilwood bow, shoulder rest, rosin, tuner, polish kit, sheet music stand and travel music stand. In Summary, if you’re an intermediate to advanced student, you’ll find the Gliga Gama to be excellent for your developing skills. If you have any questions, or would like to leave a comment about your own experience with the Gliga brand, please do so below and I’ll get back to you as soon as possible! As a life long music lover I’m very intrigued by your Gliga Vasile review. When I got my professional trombone my senior year of high school the difference was unreal! I got a large music scholarship to a small college and had decided to try and play professionally. I’ve since retired from that dream ( I lost the drive in college ) but still LOVE music. Hi Thomas and thank you for reaching out! It’s true that the quality of your instrument will make a HUGE difference! Thank you so much for your website. My son has been playing the violin for about a year now and he loves it. We have been using the instrument from the school and we are now ready to buy one of his own for him. But this is a whole new world for me and I know nothing about violins. Your posts have been a wonderful guide to deciding which violin to purchase. I believe we will go with the Gliga violin. Thank you again for the guidance and your expertise, it is much appreciated. Hello Marketa, great post. I have never played a violin before, but I am interested in trying it out one day. The Gliga Vasile would not be right for me yet, so I will have to practice on a beginners violin. Thanks again, and I wish you the best of luck with your website!! You’d probably be better off with something like a stentor or arioso as a beginner. If you ever need a hand with choosing, just give me a shout out and I’ll be more than happy to help. 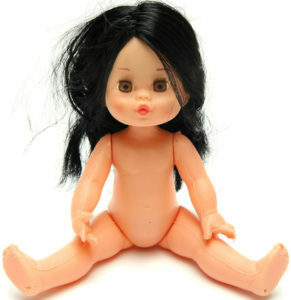 Hi Marketa, love the site. My girl uses a 3/4 violin and recently when buying a new string I was told by the clerk that I could just use a full size string and cut it to fit. Do you think that’s okay? Hi Kai and thanks for your comment. I think the clerk was probably just trying to make a quick sale. For a start, the end of the string is specially designed to be threaded through the peg and wound around, so if you cut this part off, you’ll have trouble keeping the string in its correct place. Secondly, there’s no reason to buy the wrong size string when you can just buy your strings online in advance. I’ll be writing a post about strings soon, be sure to check that out. My daughter is looking for a new violin. She is so into playing the violin and I am so grateful for that. There is so much to learn about violins, though. Stupid question, but how much can I expect to pay for a decent violin, though? Strings are expensive, but she swears that they really matter a lot. It depends how much you’re wanting to spend and how far you think your daughter will go with her journey. 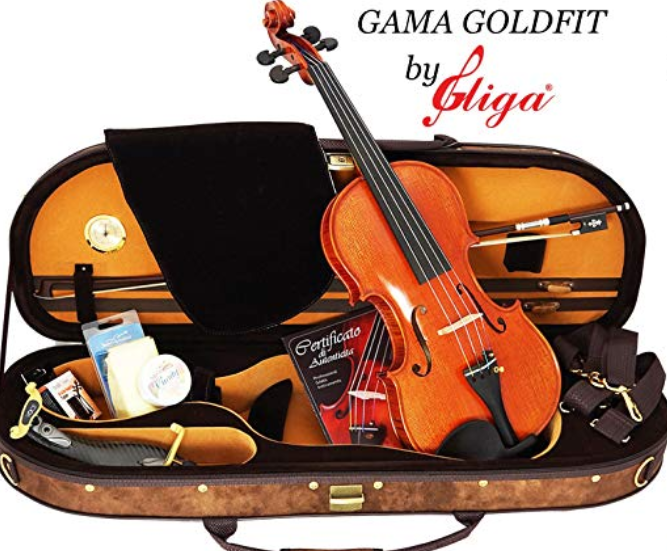 If she’s in need of a full size instrument, I’d recommend spending a bit more; the Gliga Vasile that I’ve reviewed will end up costing you around $2000 (AU) if you include a case and bow. If your daughter is still quite young, then I’d look at a gliga 3 or stentor which will set you back a lot less.